We at Berman Star Nissan know these Chicago winters can get nasty, so you need to be prepared if you want to survive another snowmaggedon this winter season. Make sure you’re properly equipped with a few essential items before driving anywhere during the winter, and visit our Service Department to ensure all your car parts are working correctly before venturing out into the cold air this season. Not being prepared can be dangerous, so protect yourself, your loved ones, and your vehicle, by adhering to a few of these tips to winterizing your car. An ice scraper is the number one must-have for every winter season. Even if it wasn’t snowing this morning. In case of an emergency, you should always keep a warm blanket, or even an extra coat and a scarf, in the vehicle somewhere within reach. Keeping a flashlight or a flare in your backseat is useful, especially if you get stuck in a ditch or are stranded on the road at night. It’s always a good idea to keep a few bottles of engine oil, washer fluid, and even coolant in the trunk of your vehicle, just in case you run out of any of these. It’s certainly a smart decision to replace your windshield wipers before the snow makes its debut to Chicago this year. Wiper blades should be replaced every six to twelve months, so it’s safe to say the fall season is probably the best time to switch them out and start winterizing your car. 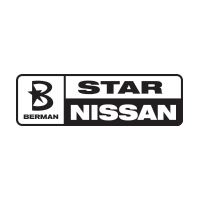 Come visit Berman Star Nissan’s Service Department, and our technicians will make sure your defroster is working properly, and that your car doesn’t have any leaks that would cause fog to decrease your visibility on the road. Most cars are usually due for a tune-up around every 30,000 miles, so even if you’re not getting a tune-up this year, one of our technicians can check the belts and hoses under the hood of your car for any leaks or weak spots. Cold temperatures can freeze these parts until they snap, and if something goes wrong out on the road, you’ll need a tow truck to get out of there. Don’t forget to stay warm and be practical when it comes to driving in the snow. Always take the time to ensure you are prepared for every excursion this winter, even if it’s just a quick trip to the grocery store. Your safety and the performance of your vehicle are important, and often go hand-in- hand. Winterizing your car is easy, so come to Berman Star Nissan to get a checkup before the snow hits and stock up on a few crucial items, to make sure you’re prepared to conquer the cold season in Chicago this year.